Sift plain flour and bread together and set aside. Cream butter and icing sugar until light and fluffy at medium speed. Add 4 tbsp natural yoghurt and vanilla extract, mix till combined. Stop machine and fold in flour in 3 batches with a rubber spatula, fold well. Spoon batter into mould. Place strawberries and blueberries on top. Do not press. Bake at preheated oven 180C for about 20 minutes. 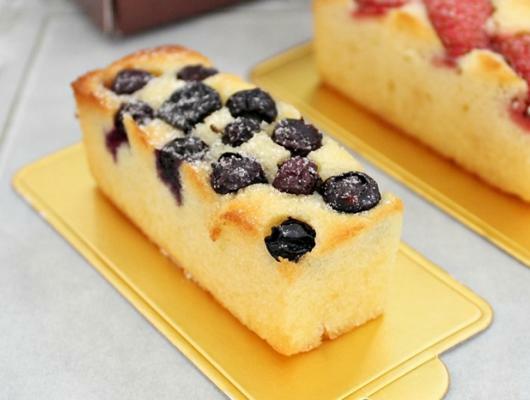 Leave cake to cool in mould, remove and dust some snow powder over it. I first came across using bread flour for baking is Castella Cake as I always thought bread flour is only meant for making bread. This prove that I was wrong. 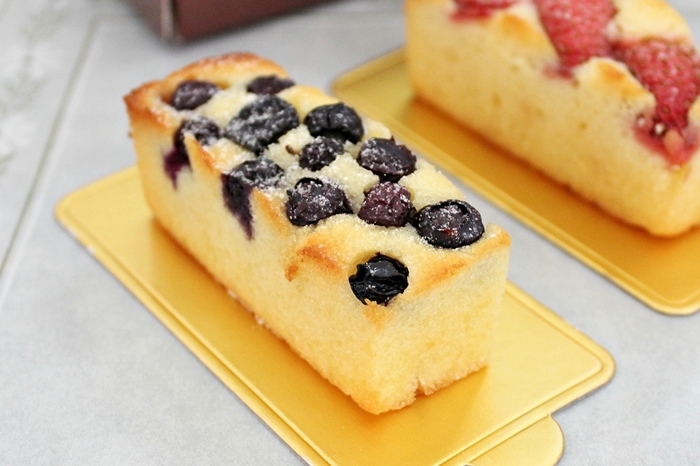 So when I saw this recipe in a magazine (Mango Butter Cake), I immediately used my leftover bread flour, some fresh strawberries and frozen blueberries that I have to make this Fruity Butter Cake.